I am very excited about this class because I have a personal connection with Australia (My Mom was from there), and since I traveled there a few years ago I feel like have an even stronger attachment to this beautiful continent! 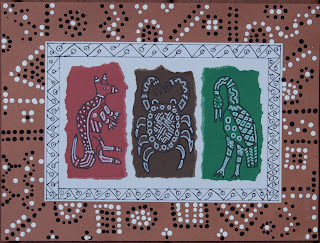 In this class we will have a discussion about the Aboriginal culture and their connection with their art work. Aboriginal Dreamings is their way to connect to the "spiritual world" which for them runs parallel to the living life. The students will use their imagination in decorating the work of art. 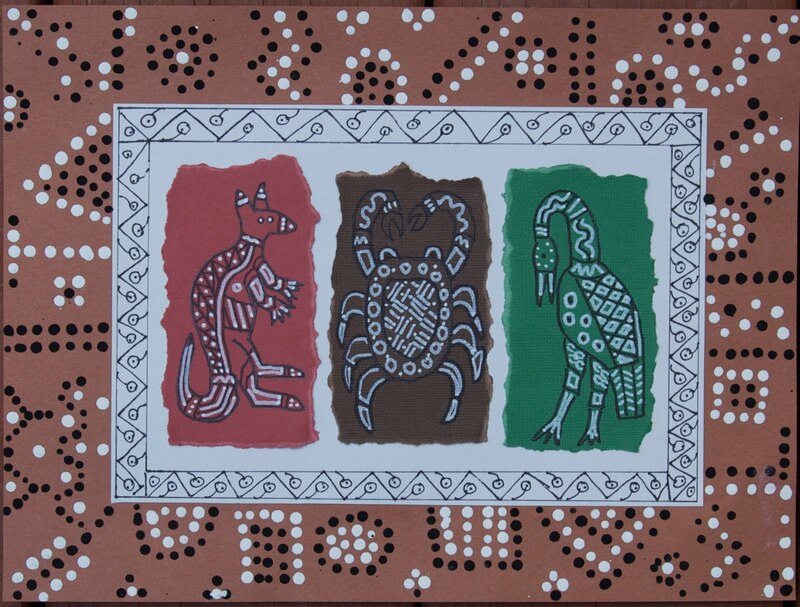 I will show them many examples of Aboriginal animal designs, as well as discuss briefly each unusual native Australian animal. Artist concepts will include: drawing, design, composition, balance and use of paint.